This spacious ground floor apartment features 2 Queen Bedrooms, large living/dining area, well equipped kitchen, bathroom with separate shower and bath, and separate laundry with full washing and drying facilities. Free wifi internet is included. The apartment also has a dedicated car parking space in a car park at the rear. There is a small (see photos) courtyard at the front and many beautiful parks and playgrounds a few minutes walk away. 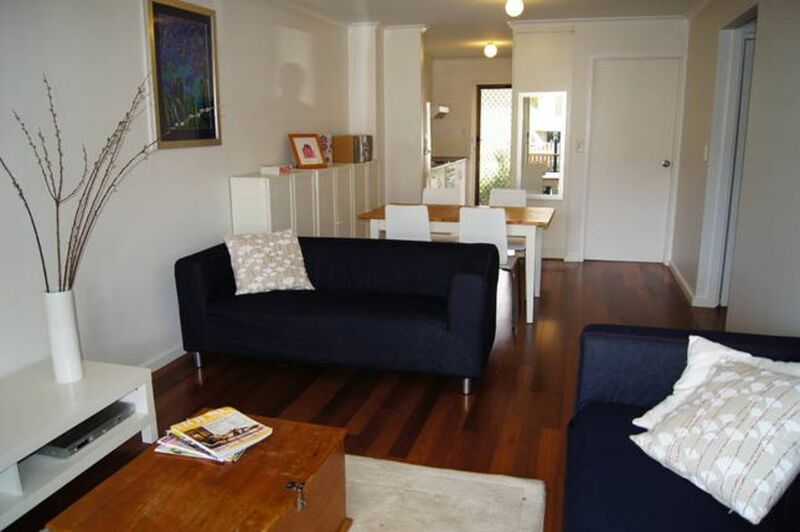 The apartment is a 30 minute walk across the Adelaide Park Lands and through historic Adelaide University to Rundle Mall. It is also a short walk (5 min) to the Women's and Children's Hospital and 10 minute walk to Adelaide Oval. Guests often stay for weddings at the Botanic Gardens or National Wine Centre which are just a few minutes away. The minimum stay is 2 nights. Single night bookings may be considered for a booking within the same week - a $40 cleaning fee will be applied and no last minute discount ($185 + $40 standard rate period and $215 + $40 premium rate period) - please phone to discuss. Long stays (7+ nights) price negotiable. No additional charges for extra person, exit clean or linen charge. Please include mobile phone and full address in your booking enquiry. Failure to do so may result in your booking being declined. A spacious appt . Sheridan linen was nice . Colleen was a lovely host .. the unit could do with some TLC brighten up paint and deep clean of the floors . Over all perfect for our stay close to the hospitals. We walked everywhere including the Adelaide zoo - we didn’t need the car much . My wife and i enjoyed our stay - the apartment is everything suggested and the position is fantastic. Easy access to everything you would need and a short walk to Adelaide Oval and the river precinct. Excellent location! Great, clean and fabulous property. Location of the property was excellent. Great cafes and restaurants on your doorstep. Can walk to main attractions all within 10 - 15mins away. Adelaide oval only 8 min walk. Property was very clean with modern furniture and very spacious bedrooms. Linen and towels provided were of excellent quality. Off street parking also available was ideal. Would certainly revisit as value for money was excellent. Owners were great communicators. Thx for a great stay. Really nice place . Great location. Perfect location and room to move. Perfect spot to base ourselves for a busy weekend. Easy walk to Adelaide Oval and O'Connel street for the footy. Mornings were spent at the local cafes enjoying brunch which were literally on your doorstep. Despite this the traffic wasn't that loud and the apartment was very comfortable for a family of four. Meticulously clean and everything we needed. Very enjoyable stay and great value for money. This busy corner in the quiet enclave of North Adelaide is great. The property is a 20 minute and lovely walk to the fringe of the city. It is a straightforward and decent apartment with all one could need, and is well-priced. The rooms are spacious and basically but decently appointed. Everything worked and the kitchen was functional and well-stocked. We have stayed in North Adelaide a number of times, but never at the same place twice. I would, however, return to this apartment. Ticks all the boxes. Very kind thank you Megan! We look forward to having you stay again.